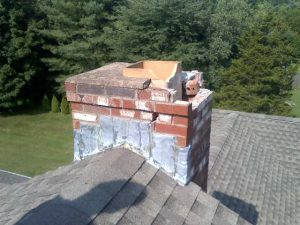 Creative Masonry & Chimney is the leading provider of chimney cleaning, sweeping and repair in Burlington, Connecticut. With three decades of experience and a 5-star rating, we offer an extensive range of chimney cleaning, sweeping and repair services along with masonry services for fireplace building and repair, and remodeling. Creative Masonry & Chimney always make sure to send an expert technician accordingly trained for a specific job. This means you will always get an experienced mason for masonry work and skilled cleaner for chimney cleaning. 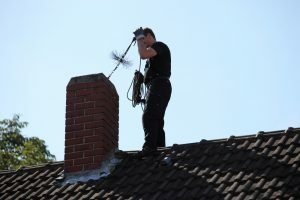 Chimney cleaning is a necessary service that ensures the health and safety of your family and home. All chimneys along with your furnace chimney must be inspected at least once every year by our certified chimney technicians. Chimney cleaning is vital for removing harmful residue and smoke debris from your chimney structure. Otherwise, it could result in chimney blockage, corrosion, and premature deterioration of your chimney. Deposits of soot in your chimney can be highly flammable and its build-up can cause a chimney fire. The average temperature of a chimney can usually go above 2000 degrees and such high-level rise in heat can cause serious damage to your chimney and can also set your house on fire. 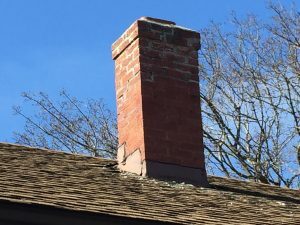 Chimney Cleaning: Chimney cleaning services in Burlington, Connecticut by Creative Masonry & Chimney assure efficiently running and durable chimney structure. Stove Cleaning: Having your stove cleaned once every year ensure protection against fire hazards and long life of your fireplace. To ensure the complete satisfaction of our clients we offer outstanding customer services. Do not wait for winters to be around the corner and book us for your chimney inspection now. For all your needs for chimney cleaning, sweeping and repair contact OSHA certified and licensed Creative Masonry & Chimney today.